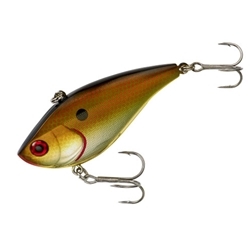 Booyah's Hard Knocker lipless crankbait features an aerodynamic shape that casts a mile. This bait has multiple rattles for loud attraction that mimics the sound of escaping, panicked baitfish. The Hard Knockers come in two sizes: 1/4oz 2-1/4" or 1/2oz 2-1/2".